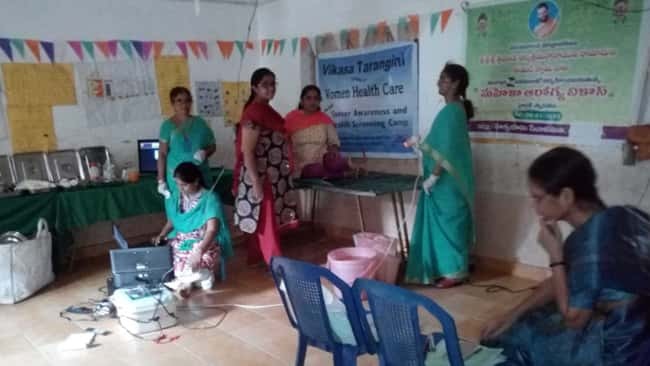 Free women health camp was organized by Smt. 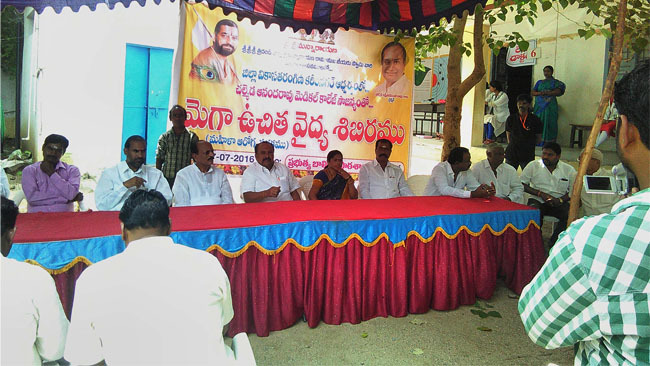 Rukmini Garu at Nethaji School, Prakash Nagar in Vijayawada. Overal l 65 women have availed the service, of which 46 patients have received V.I.A tests by Dr.Sree Latha and Dr.Usha Raani. 12 patients have been referred for further tests.